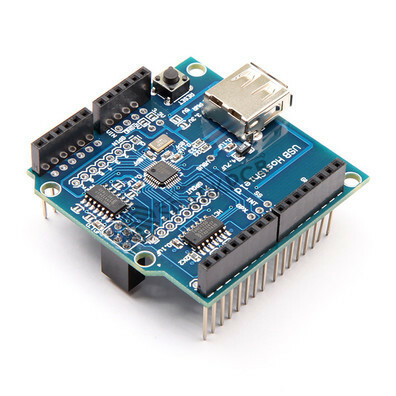 The Arduino Compatible USB Host Shield is based on the MAX3421E, which is a USB peripheral/host controller containing the digital logic and analog circuitry necessary to implement a full-speed USB peripheral or a full-/low-speed host compliant to USB specification rev 2.0. it is compatible with more Arduinos – not only UNO and Duemilanove but also Mega and Mega 2560 work with a Standard variant of this shield out of the box. No more SPI re-wiring and code modifications – just solder included stackable connectors (2×3 ICSP connector’s female side should be facing down), plug and play! 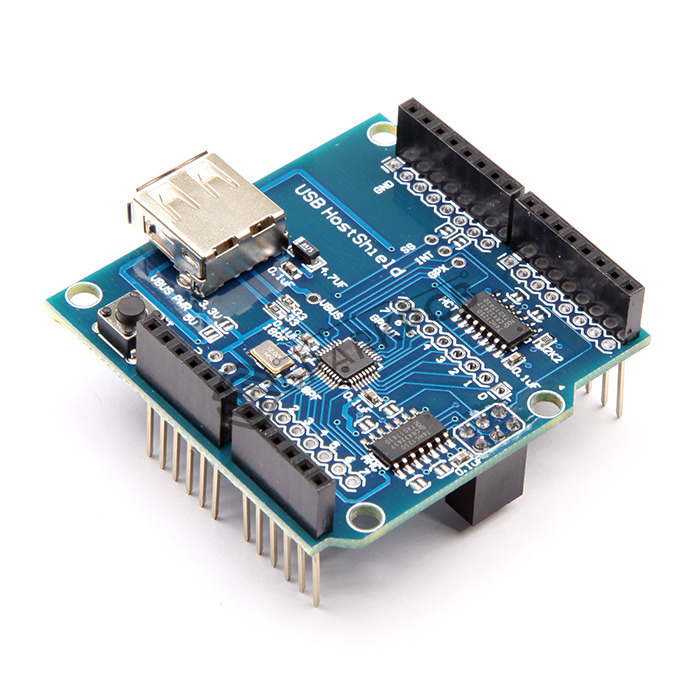 Using Arduino Compatible USB HOST function, let your Arduino communicate with other USB devices, and supports USB HUB function. Fully compatible with Arduino Uno, Duemilanove, and Mega. Allowing you to control the following devices. 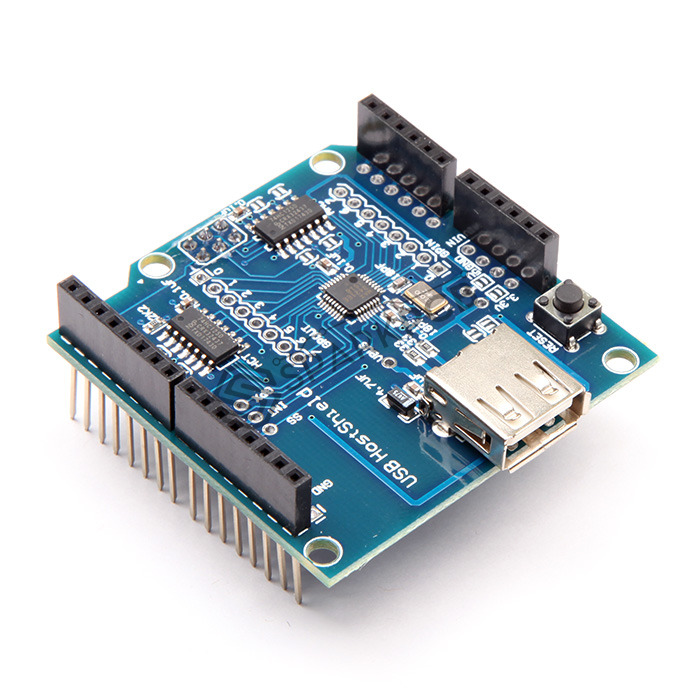 Compatible with the Android ADK.